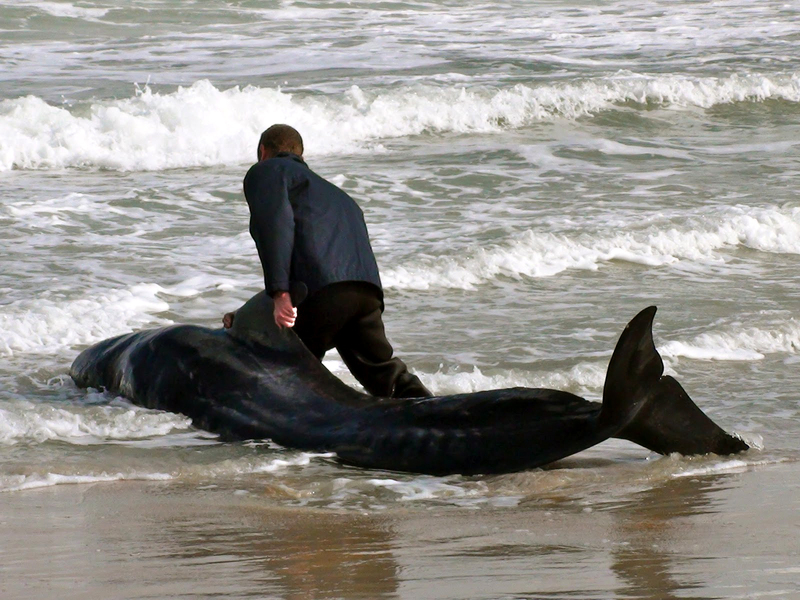 Lost pilot whales guided to beach by incoming waves and tides. Scientists claim they have no idea why pods of whales mass beach themselves. They recently took tissue samples from the pod of 29 pilot whales that beached on Stewart Island 01 November 2015. They say these samples will help them unravel the mystery of why whales strand (link). Funny thing is that scientists have been taking tissue samples for 40+ years and still claim they are confused about why whales beach themselves. Why take more tissue samples if you can not find the answers after 40 years of cutting up whales? Its obvious that they do not want to solve the mystery as long as they can get paid to take more tissue samples and do more necropsies and come up with no answers. Why solve the problem as long as the money keeps rolling in? I know it's not considered polite to call scientists liars. On the other hand, if I'm right, they should be exposed before they lies and deception contribute to the death of all our whales. As the chairman of the Deafwhale Society and a whale conservationists for 50+ years, my obligation is to fight to save whales, not lying scientists. Read the truth... (link) (link) you will be as convinced as I am. WHY DID THE WHALES STRAND ON STEWART ISLANDS? On 12 September, 2015, an earthquake erupted along the ridge system west northwest of Auckland Islands, south of Stewart Island (link). The event was reported as 4.9 magnitude by Geoscience Australia. But you cannot look it up on a Geoscience website because, for some strange reason, they no longer list seaquakes less than 5 magnitude. You need to go to this site, and scroll down until you see the 4.9 mag as reported by the Australian group. Others seismic stations also reported 4.9 and 4.8 magnitude for this event. The epicenter was on the mid-ocean ridge ~270 miles south southwest from Stewart Islands. 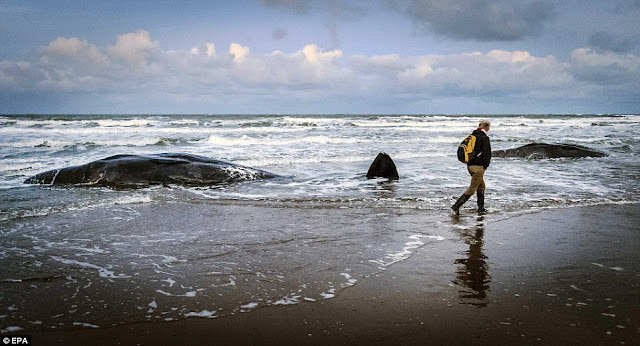 The distance is shorter than the 17 days of elapsed time would suggest, but the pod likely lingered offshore of Stewart Island for more than a week before being pushed ashore by the storm winds that passed the island at the time of the stranding. As you can see from the chart below, the current would have carried to wounded whales towards Stewart Island.